Bright red stems of embroidered roses adorn this cool vintage Western men’s shirt by Authentic Western Youngbloods, circa 1980s. 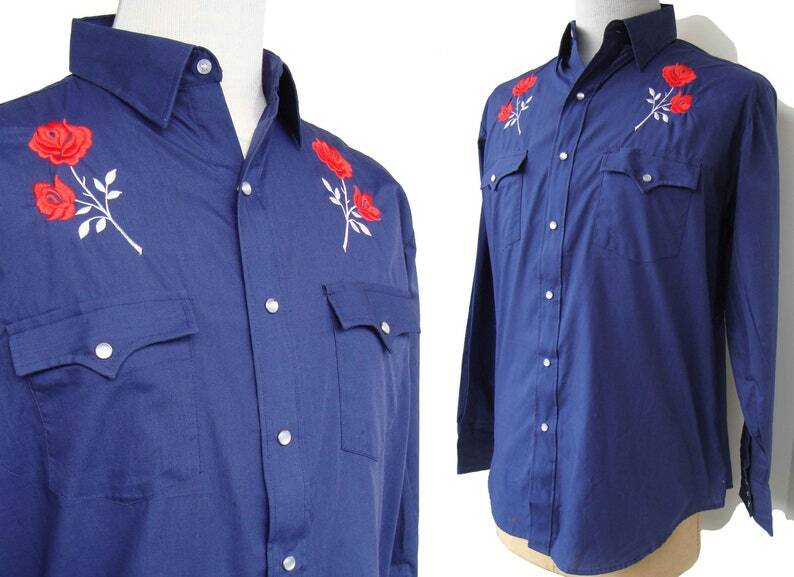 The navy blue rodeo shirt consists of a medium weight cotton poly blend fabric, and features a large rose stem on each shoulder with crimson red embroidered flowers on white stems. 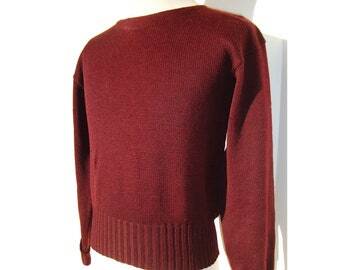 The shirt also has long sleeves with pearl snap cuffs, pointed collar, two patch pockets with flaps and buttons, button down placket with pearl snap buttons, and label for “Authentic Western Youngbloods” with red stallion logo, along with a fabric care label and size label for “LG”.